VOTER support for the Federal Government has collapsed to a near-record low in the latest Neilsen poll. Labor's primary vote slumped seven points to 27% in the poll of 1400 voters published in Fairfax newspapers, mirroring the party's paltry return at last month's Queensland election. Queensland Labor attracted just 26.7% of the primary vote in the March 24 poll, leaving the party with just seven seats in the Queensland Parliament. Labor trailed the Coalition 57-43 on a two-party-preferred basis in the Neilsen poll, a drop of four points. If the poll numbers were reflected in a general election Labor would be decimated in northern NSW and Queensland, where it holds only a handful of seats. None of the MPs contacted by APN would be drawn on the poll result. Immigration and Citizenship Minister Chris Bowen was asked during a press conference if the poll result would have been better if Kevin Rudd was leading the party. "That matter was resolved and we are working to ensure the re-election of a Labor Government," said Mr Bowen, who publicly backed Mr Rudd during Labor the leadership challenge in February. 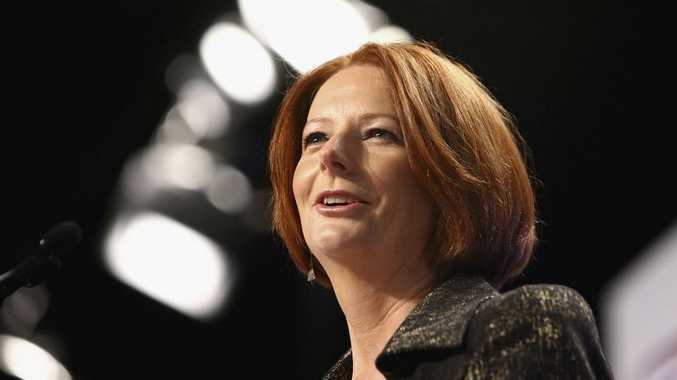 Labor's electoral fortunes have failed to improve since the February leadership spill, which the Prime Minister Julia Gillard won convincingly. Meanwhile, Labor attempted to repair some of the damage to its brand in the Sunshine state with the announcement of $41 million for about 29,000 disabled school children in Queensland. School Education Minister Peter Garrett said the funding, part of the $200 million More Support for Students with Disabilities initiative, would provide students with a disability greater access to classroom support and specialised equipment. "Parents, carers, teachers and health specialists in Queensland and around the country have been calling for action to help students with disability stay in school and get the best education possible," he said. The More Support for Students with Disabilities initiative was announced in May last year.